I just didn’t know how to take it. Surely the restaurant wouldn’t be the same without him, would it? Weeks before the start of the summer season, I learned of Executive Chef Andrea Gurzi’s departure from Harry’s Bar Beirut. Andrea, who during his six-month stay in Lebanon grew to become a personal friend, had been one of the founding members of the storied landmark that opened its doors to the public in December 2014. I’d had the pleasure of interviewing him and tasting his visionary cuisine on numerous occasions. I’d even watched him compete and snag top honors at Horeca this spring for a masterfully executed steak platter. Andrea’s relentless mission was to educate Lebanese in the true art of Italian cuisine, free from twists, Americana adaptations and most unequivocally, quinoa. The intense 24-year-old would be returning to his stomping grounds in Milan, and in his place, another Italian chef would seize the reins. Andrea had set the bar high, and my expectations were through the roof. Whoever came next could be nothing short of a culinary genius. Last weekend, we confirmed the unexpected. I don’t know how Harry’s Bar Beirut did it, but they managed to secure another prodigy in his own right. Chef Orazio Ganci is a humble 30-something culinary phenomenon whose soft-spoken French doesn’t do justice to the bold dishes he prepares for even the fussiest of palates. 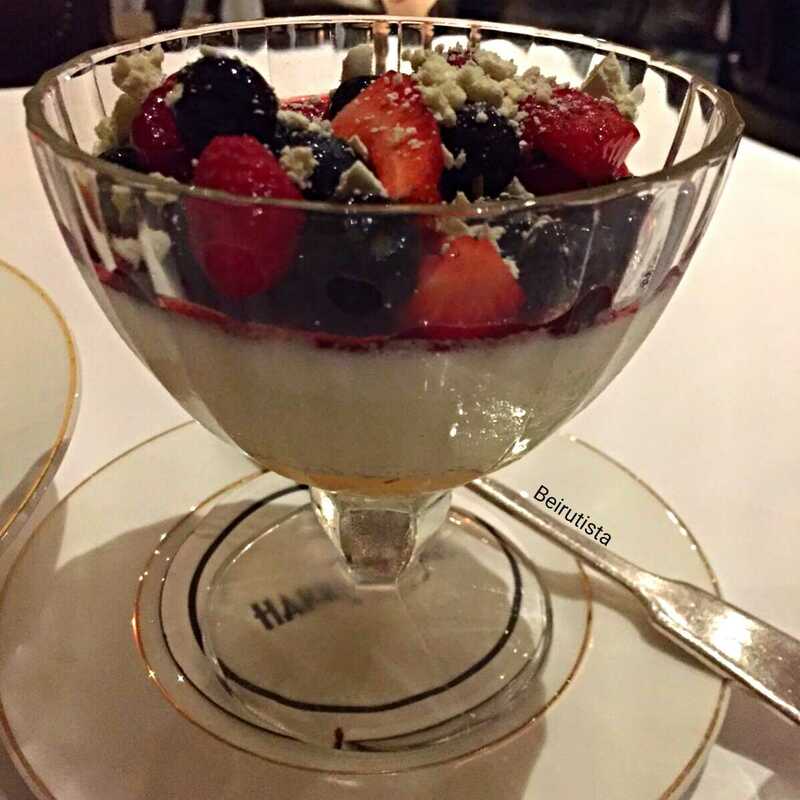 His extensive career counts among it the Four Seasons Milan, followed by a stint at Harry’s Bar London where he worked closely alongside Michelin-starred Chef Alberico Penati. (Incidentally, Penati serves as the consulting chef at Harry’s Bar Beirut.) Later, Orazio would leave London to take on the grueling role of Executive Chef at Il Carpaccio inside the Royal Monceau Hotel in Paris. Il Carpaccio is heralded by food critics as one of the most prestigious dining venues in the French capital. Our evening began with a specialty Campari-based cocktail mixed by the adroit sommelier Roberto Galli. Together with cumin-dusted roasted almonds and local green olives, it was a pleasant prelude to the magical dinner awaiting us. Roberto poured a supple white wine into our glasses as the indispensable bread basket and olive oil were planted on our table. 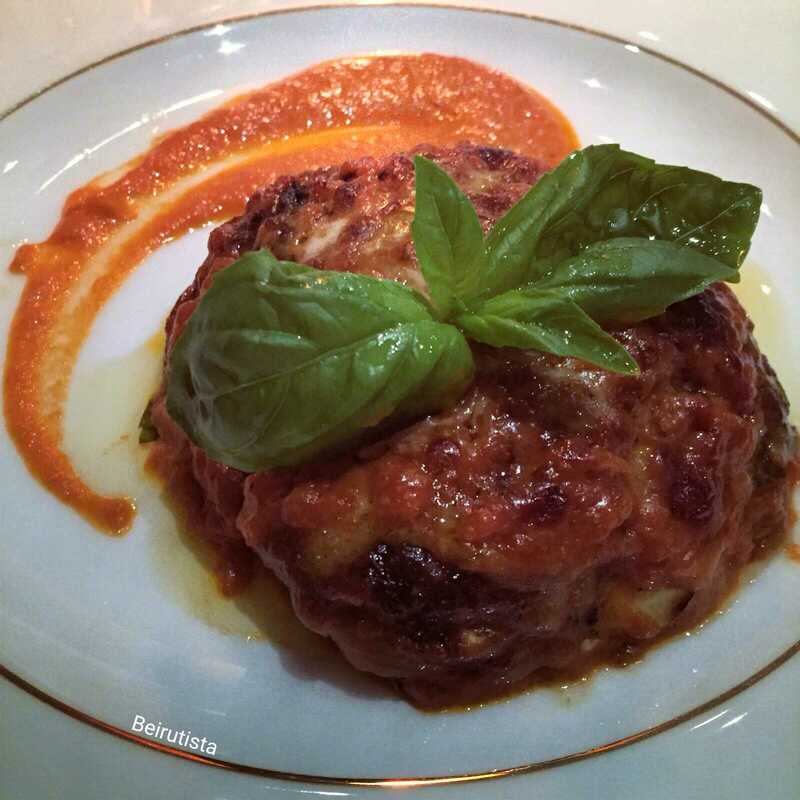 Within minutes, an elegant melanzane parmigiana ushered forth, delicately layering baked eggplant and zucchini lamelles with subtle scamorza cheese in a savory tomato purée. 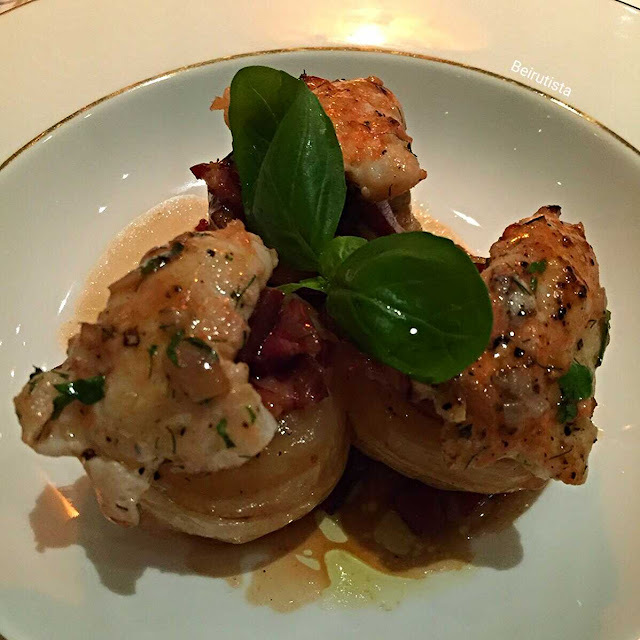 Beside it, a veritable masterpiece: cipolla rossa arrostita con scampi e speck, or, for the English-tongued, fragrant red onions halved and roasted before being topped with scampi and speck (Italian bacon). The contrast of flavors, textures, and colors in this plate would delight any gourmand. 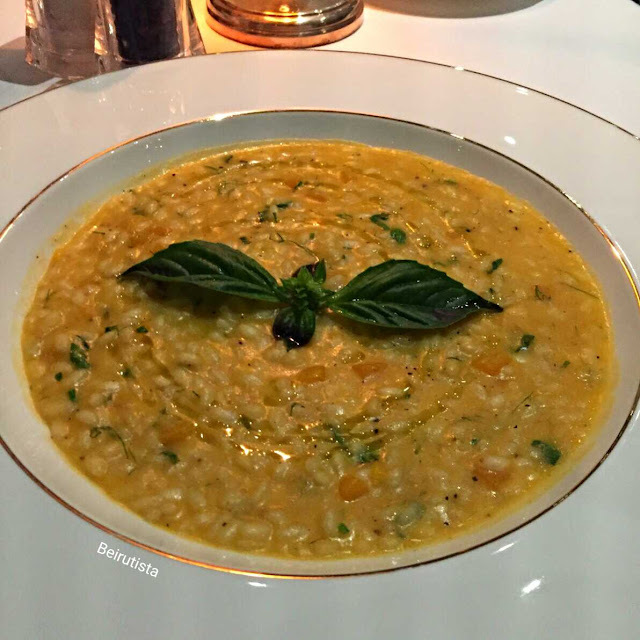 Our primi piatti commenced with the day’s special, an aromatic pumpkin risotto with hints of slightly sweet against a general backdrop of savory. 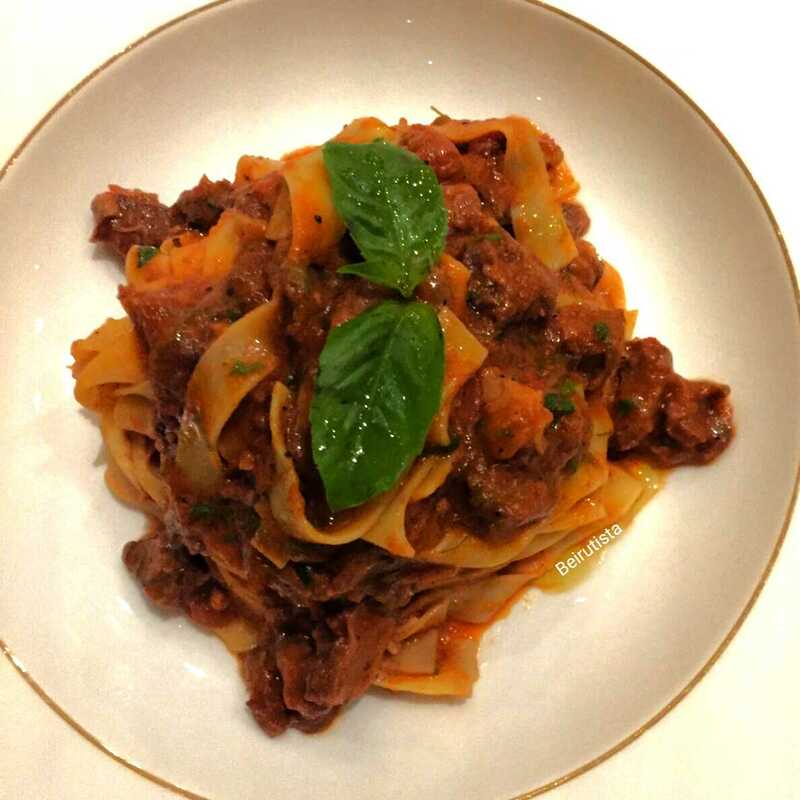 My heart was won over by the tagliatelle con ragu d’ossobuco milanese featuring silky narrow sheets of homemade pasta tossed with a braised shank of veal. Chucking the spoon and all formalities aside, I confess to having slurped up this dish. Tummies more than tickled, we were happy to end our meal there, but that would have been grave Italian abomination. And besides, why cut short this parade of perfection? 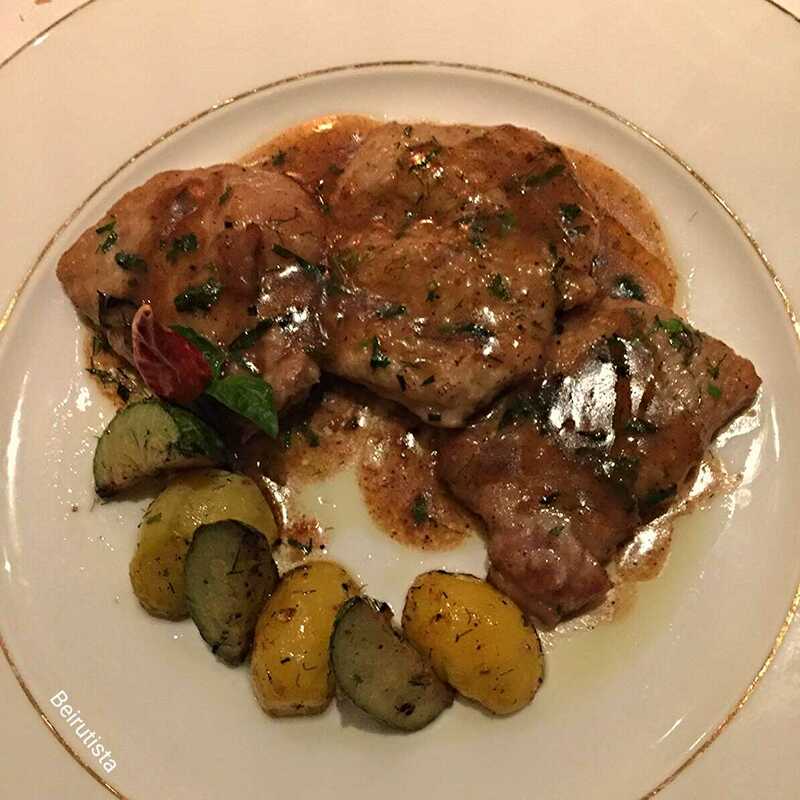 The scaloppini al limone con patate saltate boasted three lightly battered veal fillets in a tangy lemon sauce sided by a medley of sautéed vegetables. The texture of the meat was intriguing, rather pliant and spongy. 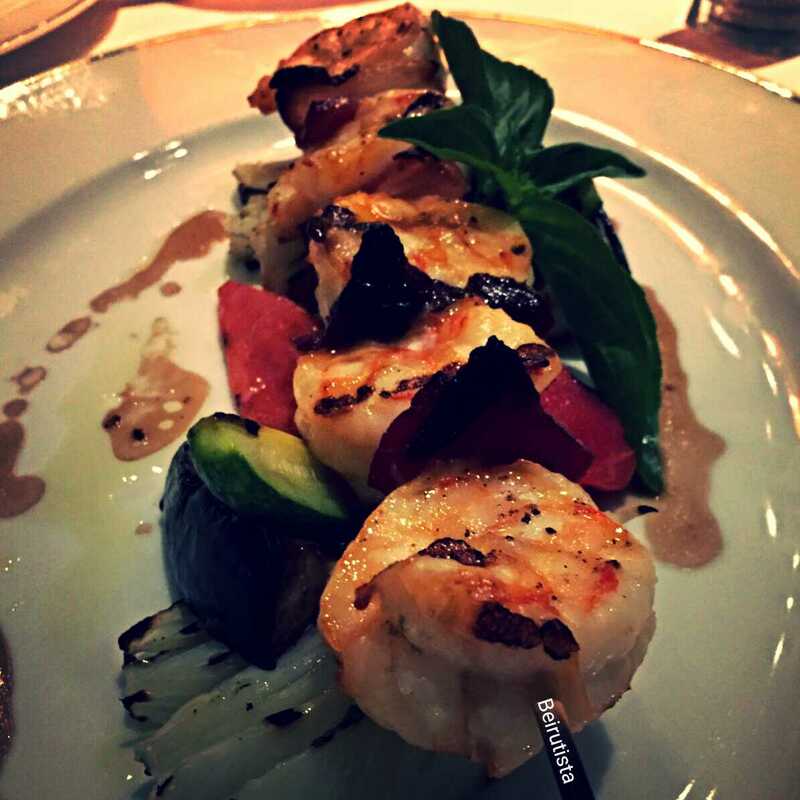 The second secondi piatti showcased a grill-kissed skewer of five prawns each separated by jerky-like speck, all on a bed of grilled endives. It was divine. We’d have been fools to pass up Harry’s Bar’s second-to-none desserts, namely berry panna cotta and baba au limoncello. The former I’ve dubbed an Italian mouhallabieh thanks to its unctuous, snow-white consistency and palate-cooling power. 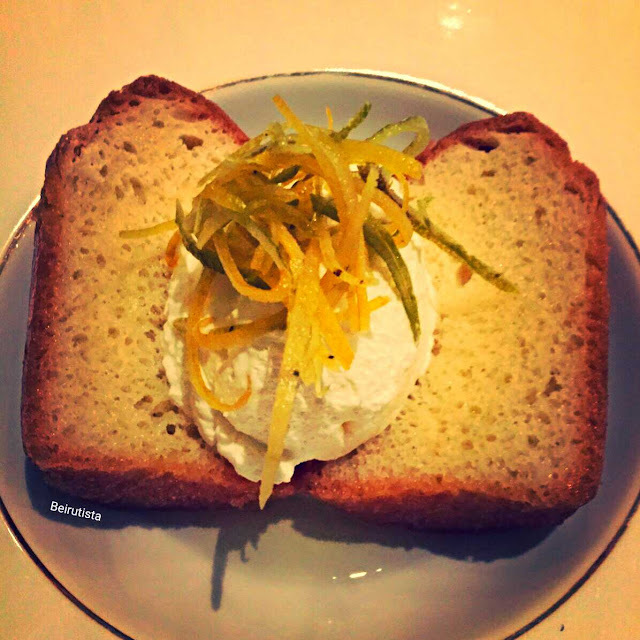 The savarin resembles an open book cradling a dollop of whipped cream and strands of citrus zest. Onlookers need little persuasion as to the deliciousness of these dolce. Hats off to Chef Orazio for a stunningly imaginative gastronomic performance. 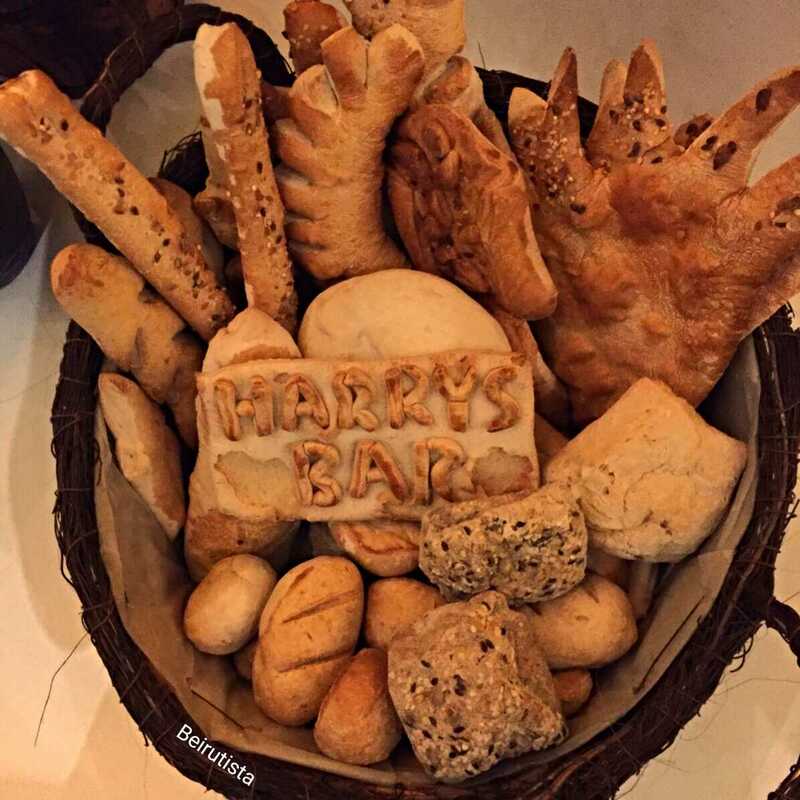 Harry's Bar Beirut could without a doubt fetch a star under his culinary leadership. If you haven’t yet booked yourself a table at Lebanon’s swankiest Italian eatery, you really can’t call yourself an epicure. Take my word for it—your senses will be throttled.